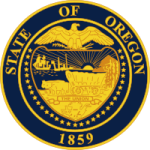 Through the division of child support in Oregon you can reach out and get help in the case where you do not receive financial support from the noncustodial parent. The division protects the rights of children by enforcing orders that legally bind the noncustodial parent in making contributions for child support. The receiving parent has to take that step in order to make that order enforceable. Step 2: Fill in the form with the required details of the parents and children. Step 4: Find the address to your local child support offices here and send the filled form.